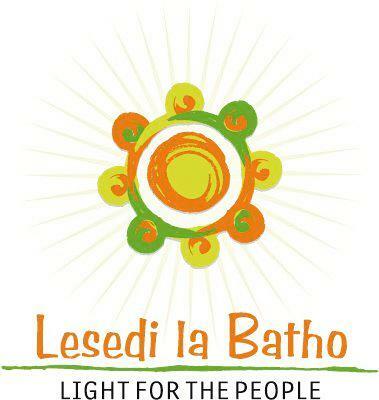 Lesedi la Batho (LLB) is a Pretoria based charitable organisation which supports the people in need living in the township of Mabopane in many aspects of their life. 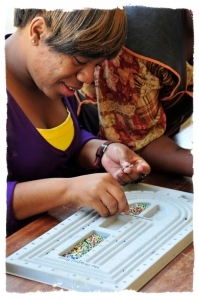 The organisation started off as a project of Organisation SA Cares in 2004 and acts independently since 2011. Its activities comprise education (hygiene, computer skills, social behaviour etc. ), job training (bakery, tailoring, nursery etc. ), advice on business start up, sports promotion, psychological counselling, as well as children’s care for working mothers. In 2014 LLB could successfully release 200 participants of their training programmes into a new job or their own business. Through close co-operation with the ministry of education LLB has gained access to the 6000 students of the seven high schools in Mabopane. 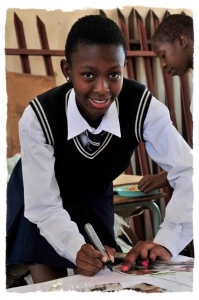 A great success in 2014 was the reduction of teenage pregnancy by 60% after the first year of implementation. 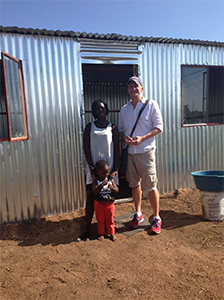 Rays of Hope (RoH) has been supporting LLB since May 2013 with the ambition to develop Lesedi into a contact point and education centre showing people in need and without perspectives, ways into self responsible living. With our financial aid we support the leasing of a Nissan car for the project team. In addition, ROH also provided a printer for the IT classroom, several electrical meters and 10 sewing machines for the tailoring project. We also engage in contributing to the running cost of the organisation. The focus of RoH’s activities is to support various of LLB educational programmes for people in need in order to enable them to take care of themselves and contribute to society. Youth unemployment in South Africa reaches figures beyond 50%, whilst there is significant industrial demand for qualified workforce. After having accomplished a successful technical pilot programme for 58 young people, we are developing our new initiative enGin (“German initiative for Engineering”). The aim of the initiative is to establish an educational centre for mainly male students concentrating on technical careers at Mabopane. 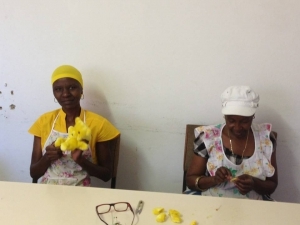 In order to bridge the gap between the living conditions in the townships and the rather formal world of employment it is of great importance to also develop social skills such as adhering to a dress code, official behaviour, social values etc. but also to teach language skills. If the pilot project in the automotive sector shows good results it is the plan to also include other technical disciplines as well to enlarge the regional focus of the project. In the context of this project we are closely co-operating with the chamber of commerce and industry, local institutions and the German industry. The nursery is being managed by a Swiss social pedagogue who also trains local tutors. The first two groups both comprising of 20 children have been supported by building a playground and other donations. In 2015 a third group of additional 20 children could be established with the substantial financial support of RoH while the childrens’ mothers are being able to complete school (PDF File). Plans for extending the nursery to accept another 20 children are currently under development. Therefore, funds in the amount of ZAR 77 500 (approx. EUR 5 600) will be required. Monthly running cost amount up to ZAR 10 500 (approx. EUR 750). Please support us with your donations so that more children can be given access to a good start into their lives. 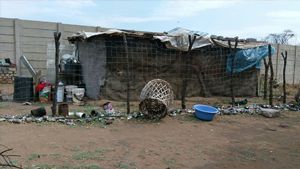 A large amount of families and people in Mabopane are living under miserable conditions. Utter poverty, hopelessness, diseases, violence, drugs and alcohol are forming the every day life of many people. Social workers analyse the specific situation in order to specify and organise the required support. In the context of our emergency aid programme we specifically support with clothes and food. With a donation of only EUR 25 you can provide a family in need with an emergency package of clothes and food. The need for help is tremendous looking at a population of 175 000 people in the township of Mabopane. 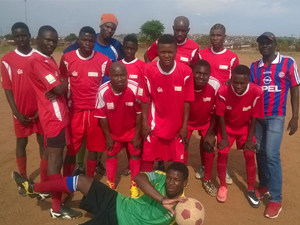 The Lesedi Strikers but also other football teams in Mabopane are being supported by donations in kind (t-shirts, soccer outfits, shoes, balls etc.) Our members deliver the donations to the extent of capacity in their travel luggage. We would be most happy if we could achieve a sponsoring from a German football club. If you wish to support us in that respect please contact us. In January 2015 Mr. Jörg Laudien has planned and started the fist automotive course. From August until November 2015 Mrs. Karin Siebels is supporting LLB with their marketing activities and enhancing their management structures. Please read her report here.